If you were go into a Christian church in Britain then the chances are, unsurprisingly, the congregation will be speaking English. But they almost definitely would not be speaking Aramaic or Greek, which are in fact the languages that the Christian Bible was written in. So this begs the questions : Why don’t we read the Bible in Greek? How many languages has the Bible been translated into? and Why does it matter? It turns out that the answer to the last question is very important indeed when you study the linguistic differences, subtle nuances and context in which writings can appear within a passage of scripture. The story of translating the Bible actually starts before Christianity, 200 years before. Around 200 B.C. 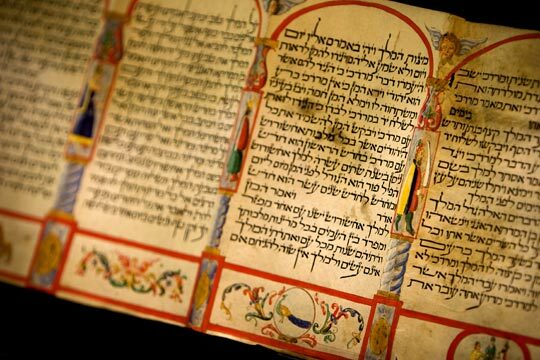 the Old Testament, the same part of Christian Bible that that is also sacred to Jews, was translated into Ancient Greek by a group of rabbinic scholars. This Greek version is called the Septuagint Septuagint : the oldest Greek version of the Old Testament, traditionally said to have been translated by 70 or 72 Jewish scholars at the request of Ptolemy II: most scholars believe that only the Pentateuch was completed in the early part of the 3rd century b.c. and that the remaining books were translated in the next two centuries. The Christian Bible was written in Koine GreekKoine Greek : An amalgam of Greek dialects, chiefly Attic and Ionic, that replaced the Classical Greek dialects in the Hellenistic period and flourished under the Roman Empire.. Even though Jesus primarily spoke AramaicAramaic : a northwest Semitic language that from c300 B.C.–A.D. 650 was a lingua franca for nearly all of SW Asia and was the everyday speech of Syria, Mesopotamia, and Palestine., Greek was the common language of the era and the most widely spoken language of the region. Aramaic is related to Biblical Hebrew. A few portions of the Old Testament that are also in the Christian Bible, such as the Book of Daniel, were originally written in Aramaic. As with any translation, there are things you cannot say in one language that you can in others. For example, in Aramaic, there is a suffix that denotes “servant of.” In the Book of Daniel, one person’s name is Abednego. Technically, in the Aramaic that name means “servant of Nego,” but this meaning does not carry over into the Greek translation, so readers of the Greek (and subsequently the Latin and English) do not understand that this man is also a servant. A much more dramatic and theologically relevant example of translation problems lies in the Hebrew word, “almah.” In the Old Testament, a young woman, or maiden, was called “almah.” However, in the Septuagint, this word is translated into the Greek as “parthenos” which means, more precisely, “a virgin.” This is complicated because the Book of Matthew, in the New Testament, quotes this Greek translation and describes Jesus as being “born of a virgin.” However, in the Hebrew, the direct translation would have been “born of a young woman.” This linguistic nuance between Hebrew and Greek can be very contentious, as you might imagine. In the late 300s, Saint Jerome (along with other scholars) translated the Bible into Latin, the language of the Roman Empire. Rather than translating from the Septuagint, St. Jerome used the original Hebrew text of the Old Testament and the Koine Greek of the New Testament as the basis for his translation into Latin, called the Vulgate. 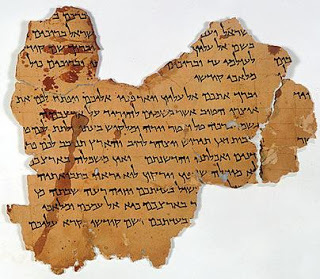 When there were contradictions between the Septuagint and the original Hebrew (as in the case of “almah”) St. Jerome followed the Septuagint’s interpretation. So when did the standard English translation come about? Though there had been earlier English translations of the Bible, the King James Bible (commissioned in 1604) became the standard bearer for the new branches of Christianity that were splitting from the Catholic Church. The King James Bible was primarily translated from the original languages, so the Old Testament was translated from the Hebrew and the New Testament from the Greek (rather than the later Latin versions). However, where there was dispute about specific translation decisions, the Septuagint and the Vulgate were used as references. Of course, in addition to Latin and English, the Bible has been translated into at least hundreds of other languages, possibly as many as 3,000.